The verbs “ser” and “estar”, both translated as “to be” in English, can be frustrating for a learner of Spanish to fully understand for the simple reason that in English we only have one verb “to be”. Probably the most common explanation that we hear in regards to the difference between those 2 verbs is that “estar” usually denotes something temporary, whereas “ser” denotes something permanent. This is misleading on many counts, so let me provide my own explanation here, which I think will clarify a few things if you are learning, or are planning to learn, Spanish. 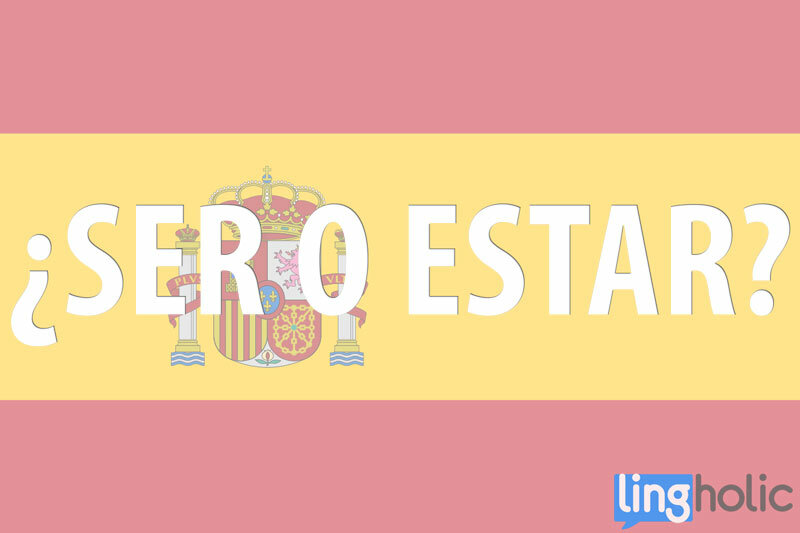 In Spanish, there are two words equivalent to the English verb ‘to be’: ‘ser’ and ‘estar’. ‘Ser’ comes from the Latin word ‘esse’ which is the same root word for the English word ‘essence’. The English language uses ‘to be’ to describe what is an essence and what is a state, which is what leads to confusion. You should therefore approach the two Spanish verbs by understanding this fundamental difference: Estar = State. Ser = Essence. For example, if we were to talk about somebody who died, in Spanish we would not say “es muerto” (he’s dead, using ser), but rather “está muerto” (he’s dead, using estar). Being dead is a state, albeit a permanent one. But no one is dead in “essence”. Well, if you were to talk about a zombie, or Dracula, you could probably use “ser” instead of “estar”, since in this case, they are truly dead in essence. In English, the state or the essence of something can often be explained through the use of an adjective, as opposed to a verb. “I am bored”, for example, denotes a state, whereas “I am boring” denotes essence. In Spanish, the adjective stays the same; only the verb “to be” changes. Therefore: I am bored = Estoy aburrido, I am boring = Soy aburrido. The “essence” vs. “state” explanation might not work in 100% of cases (if you have ever learned a second language, you will know there are always exceptions to the rules! ), but it should be a reasonably decent frame of reference to use in order to quickly internalize the difference between those two verbs. I hope this post was useful to all the Spanish learners out there! Not so sure about that explanation as it didn’t quite click with me. For now i’m sticking with the temporary vs the permanent explanation. For the ‘por’ vs ‘para’. My current method is that if it can be translated in to ‘in order to’ then it’s ‘para’ except para ti and para me which are very common. Everything else is ‘por’. Again. This is not a 100% solution but works for me at the moment. If it doesn’t click, try again, because the temporary/permanent method fails too often… because it does not make much sense. “Madrid está en España” is not a temporary situation, and “Este elefante es aún muy pequeño” is not permanent (it will gain 12000 lb of weight!) If I were given a penny for every exception I encounter to that temporary/permanent pseudo-rule, I’d be rich within a year. The one you are using for “para” makes more sense, although you can extend it to goals, destinations, recipients… or any other end. The explanation is interesting I may say. I am not fully convinced, but it seems reasonable. For me, personally, it was earier to grasp, as I started with Portuguese, in which we have both. E como vai esse português ? Thanks for the explanation! These two words were very frustrating for me when I started learning spanish. I spent 6 months taking spanish lessons in barcelona and I check the real use! As a native spanish speaker, I think this is a very good general rule.